With SUB-GHZ wireless sensor network technology, BW883 long distance Eueo wireless lock system provides an effective solution, which communication frequency is 470-525 MHz. Only K and T6 models can use Euro mortise, replacing easily a hotel's existing lock case and inside door hardware. Created with the elegant designer, the concept and technology is refined, contemporary and intuitive. 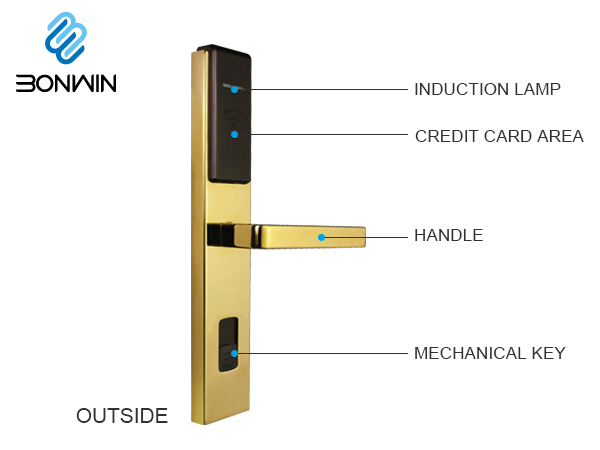 Guests can open the door lock by the APP, RF cards, membership cards and other methods.